You made the most of your final day on the Memorial Park field trip by looking at preparations for Anzac Day and the centenary of the First World War. Before heading back into the Park you talked to Rosebank School and Glenfield Intermediate School during the last field trip audioconferences. 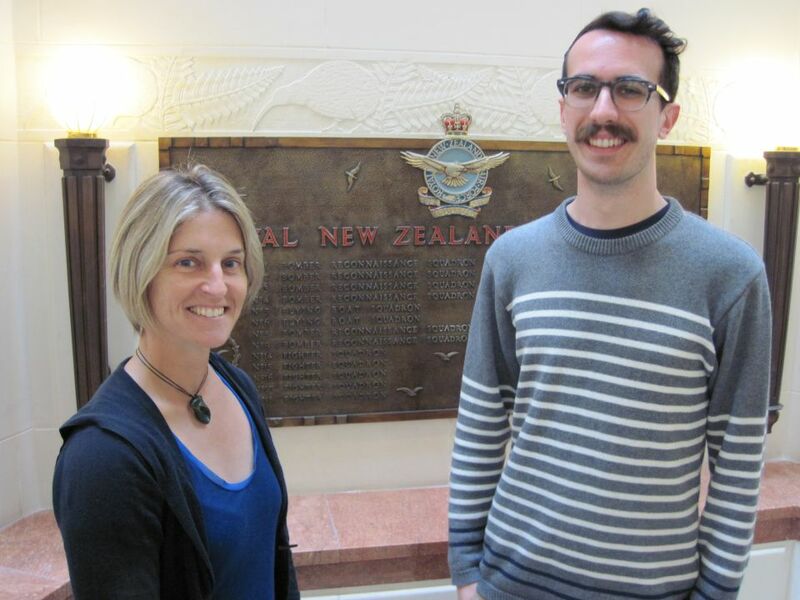 Matthew Tonks from the Ministry of Culture and Heritage told students about some of the events planned for Anzac Day at Pukeahu National War Memorial Park. Over ten thousand people are expected to gather for the dawn ceremony. You can listen to a recording of these audioconferences. Anzac Day occurs on 25 April. It is a day to commemorate or remember all New Zealanders who were killed in war and also honours returned servicemen and women. The date itself marks the anniversary of the landing of New Zealand and Australian soldiers (the Anzacs) on the Gallipoli Peninsula in 1915. The aim of this campaign was to capture the Dardanelles, the gateway to the Bosphorus and the Black Sea. After nine long months of battle, Gallipoli was still held by its Turkish defenders. Over 120,000 men died in the Gallipoli campaign. More than 80,000 Turkish soldiers and 44,000 allied soldiers died. 8,500 Australians died and over 2,700 New Zealanders. All these people were fighting to preserve their way of life and the future of their country. The construction of Pukeahu National War Memorial had to be finished by Anzac Day this year. On this day it will be exactly 100 years since our young country’s first major battle began. People from all around the world will be commemorating this centenary and now New Zealand will have a brand new park ready for the occasion, other events will also be held throughout the country. What have you planned for Anzac Day this year? You can check out WW100 events here. In preparation for Anzac Day the Carillon and Hall of Memories have also been restored. Work that would ordinarily take years has been completed in a matter of months and these areas are once again open to the public after a major facelift. Matthew took you into the earthquake strengthened Hall of Memories. It was hard to believe that this building has had major work. Most of the beams and reinforcing have been added inside the structure so that the Hall itself looks just as it used to. You can see this in the video. The Great War Exhibition will also open in time for Anzac Day. You met with Ivy Urquhart from the Art Department of this exhibit to find out more. This exhibition is being held in the old Dominion Museum building beside Pukeahu National War Memorial Park. You had to be careful entering the building as it was a hive of activity. Construction for the exhibition is in full swing. You were not able to see any of the exhibits as they are all under wraps until the official opening. Ivy told you a what will be in the First World War exhibit. You can find out more in the video. It was interesting to hear about the work that Sir Peter Jackson’s Weta Workshop is doing here and the challenges they have faced. Ivy explained that they are working with some very big exhibits, including army tanks. A hole had to be cut in the wall of the building to allow a tank to be brought in for the exhibition! If you are in Wellington I am sure this exhibit will be well worth a look. 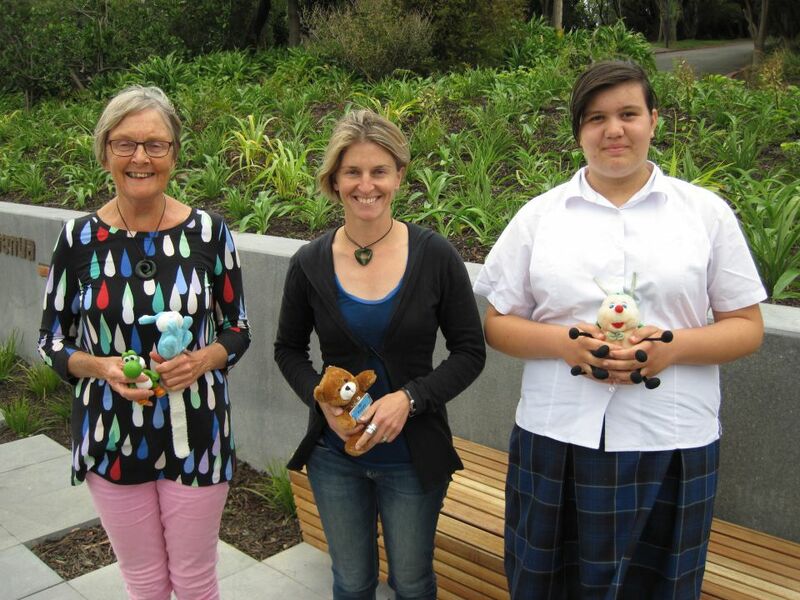 After lunch you met with Sandy McCallum the principal of Mount Cook School and Dexter a former student to find out what it has been like for them to be based next to the Park construction site. Sandy explained that at first she was against the construction. The original plans were to move the main road next to the school to give enough space for a park. Sandy knew that this would be really disruptive to the school and its students so her and the community worked hard to stop the government from going ahead with the road. Sandy attended meetings, wrote lots of letters and submissions and gathered evidence of the problems that the road could cause. The whole community and students from the school also voiced their opposition. This lead to the plans being changed so that the road would go underground. Now the park is larger than it would have been, it is free of traffic and Mount Cook School has a park next door rather than a road so the whole community is happy with the result. Dexter told you how great it has been to see the project completed and how it has brought the community closer together. You can watch the video about this. It has been a real privilege to be a part of such a significant project and to see it develop. Pukeahu National War Memorial gives us all a place to remember those who have served at war and reminds us of how fortunate we are to live in peaceful times. It has been a special week, I hope you’ve enjoyed it. See you on another field trip soon. 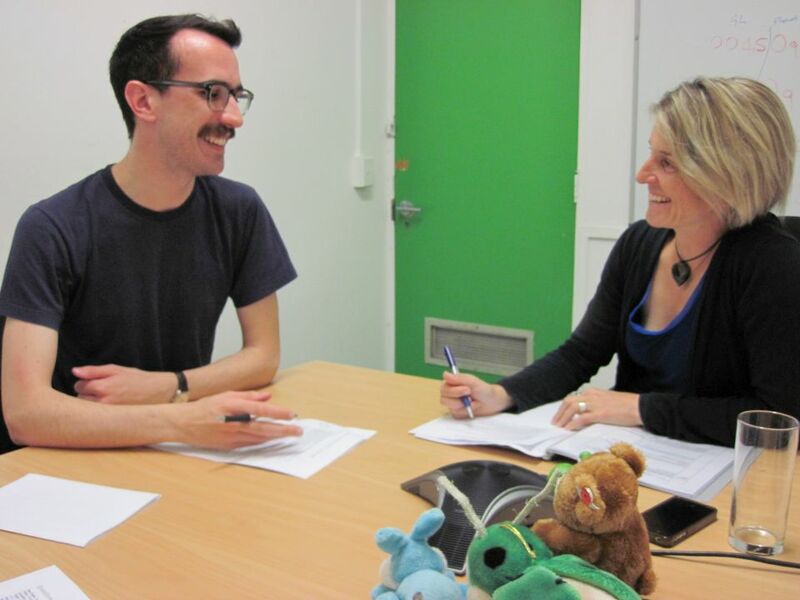 Matthew Tonks and Shelley talk to Rosebank School and Glenfield Intermediate during today's audioconferences. Image: LEARNZ. 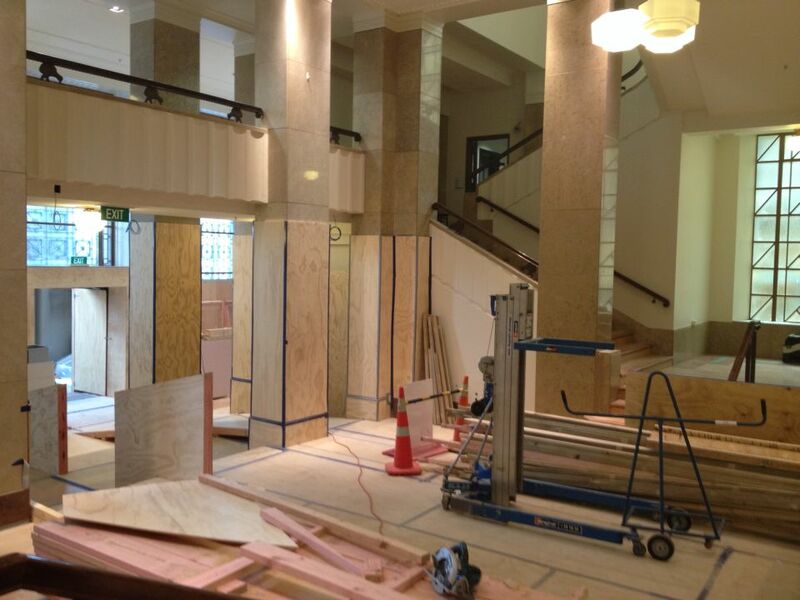 Take a look inside the restored and earthquake strengthened Hall of Memories. How was this building strengthened? Image: LEARNZ. Matthew shows Shelley one of the mini chapels inside the Hall of Memories. 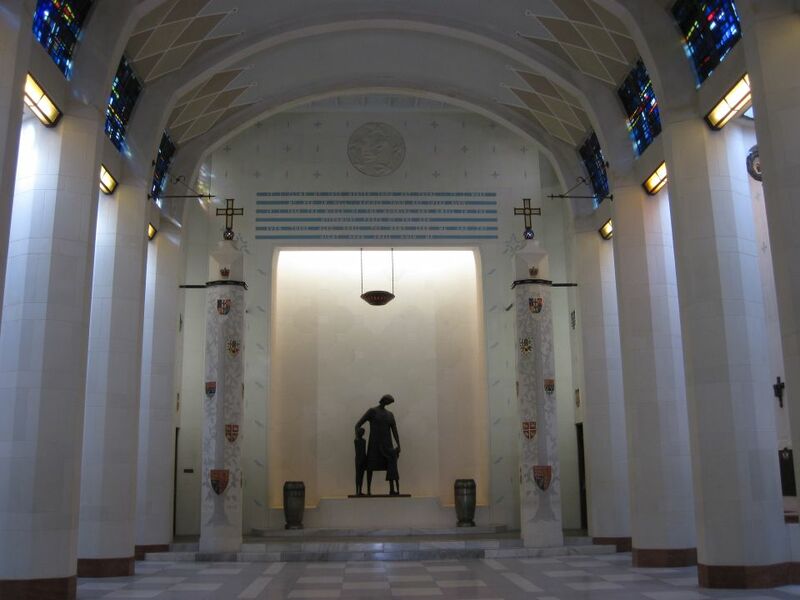 Can you see who this chapel is dedicated to? Image: LEARNZ. Inside the old Dominion Museum building, construction is underway to create the Great War Exhibition. Image: LEARNZ. 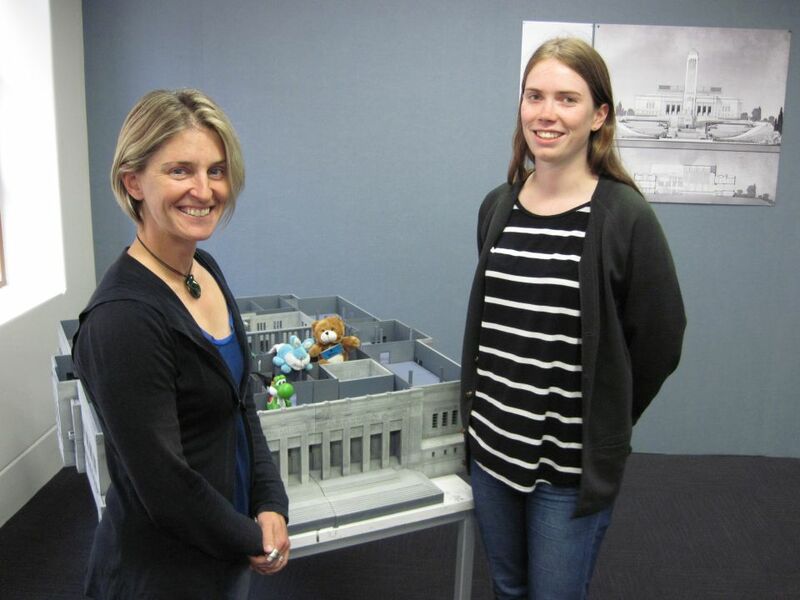 Ivy Urquhart shows Shelley and the ambassadors a model of the museum and where the Great War Exhibition will be housed. Image: LEARNZ. 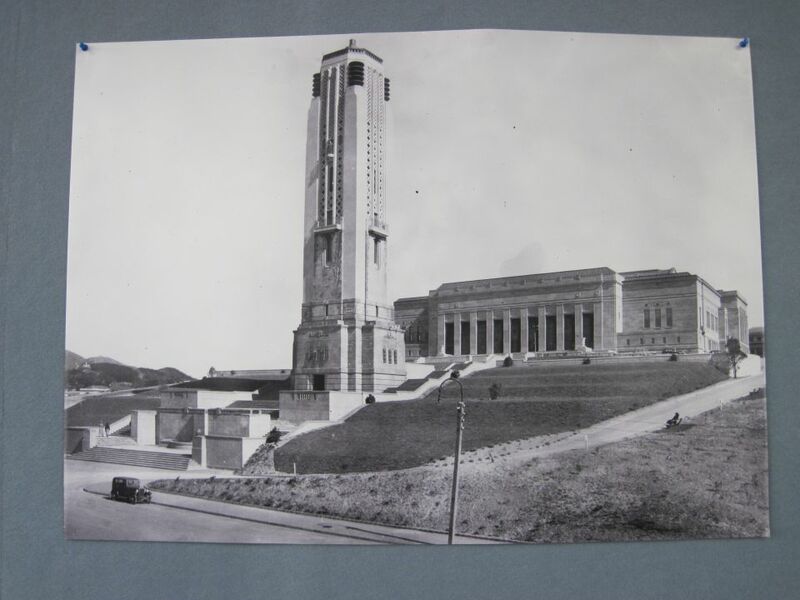 You can see the Dominion Museum building behind the Carillon in this photo from the 1930s. How has this area changed? Image: LEARNZ. Sandy, the principal of Mount Cook School and Dexter who is a former student talk to Shelley and the ambassadors about their involvement in the Memorial Park project. Image: LEARNZ. 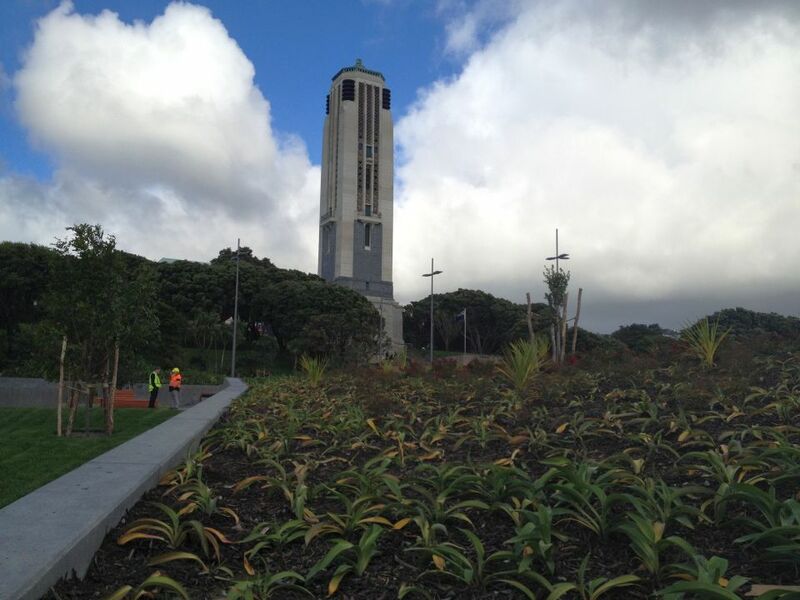 Looking across the completed Pukeahu National War Memorial Park to the Carillon at the end of the field trip. Image: LEARNZ.